We are having a wonderful getaway on Cape Cod. I'll have more photos to share soon. 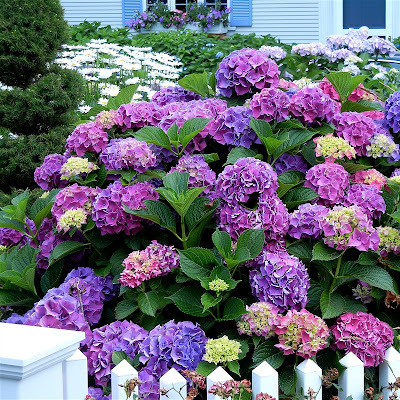 These hydrangeas are growing in the garden of a house near the place we are staying - aren't they amazing! Even though I am away, I am still trying to keep up with the news in the crafting world. The Craft and Hobby Association (CHA) trade show began today. I went to the past two summer shows but the timing conflicted with our family plans this years. I am sure lots of new and exciting products will be revealed but I'll just have to read about them on the internet. If you check the blogs of your favorite manufacturers and designers, you can see all of their new releases. There are often giveaways of the new products to enter - I hope you have some good luck! If you are a Tim Holtz fan, be sure to check out his new free app - you can read all about it on his blog HERE. It is for the iphone, ipad and ipod touch and there should be an android version released very soon. 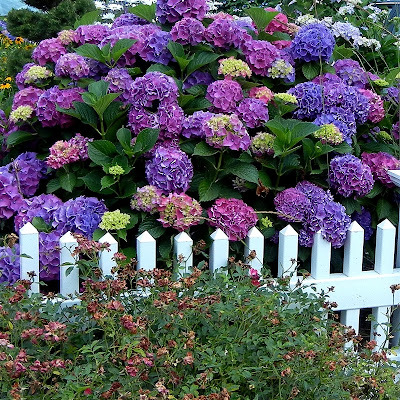 Here is one more view of the hydrangeas of many colors - these are some of my favorite flowers! Hi Diane, sounds like you guys are having a great time. 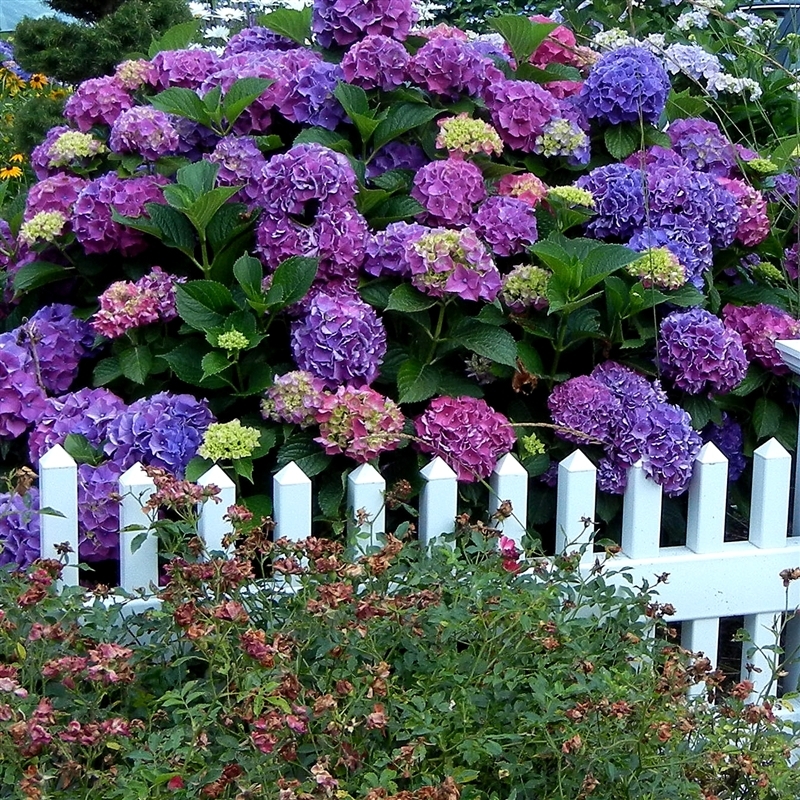 Love the hydrageas, I will add them to my 2013 garden Wishlist. Thanks for the notice on the Tim Holts app. Beautiful pictures. I was able to attend a hydrangea symposium and our local UT Education and Reasesrch Center's Summer Celebration which also showcased hydranges's. Both were very informative and I got to add a few new species to my landscape at the plant sales that went along with both. We also got to visit with Michael Dirr at his business and home where he gave my master gardener group sneak peeks at some of the new varieties he is working on for future introductiion. I can tell you there are some great ones coming.